We do not see stunning surprises like this one in coaching hirings, collegiate and professional. Usually, they have more leaks than the Iraqi Navy but this one, the Boston Celtics hiring Butler head coach Brad Stevens, came out of nowhere and took everyone by surprise, except for of course Stevens and those in the Celtics' front office. And you know what? I think this is a tremendous hire for Boston GM Danny Ainge. If I wanted to be lazy and give you some halfhearted analysis, I would simply criticize this hire because of the relatively poor track record of college coaches in the NBA. Notorious flops that come to mind include Rick Pitino, with this very same club, John Calipari, Tim Floyd, Leonard Hamilton, Mike Montgomery among others. And the track record of coaches jumping from small schools like Butler to the Association is not very strong either. But I don't to waste your time nor do I want to waste mine. Plus, Stevens is a unique coach and thus it is not fair to tie him down with college coaches that have failed in the past. What made Stevens a unique coach at the college level as well as a very successful one, and a key reason why I think he is an excellent hire for Boston, is his usage of advanced analytics in his coaching preparation. 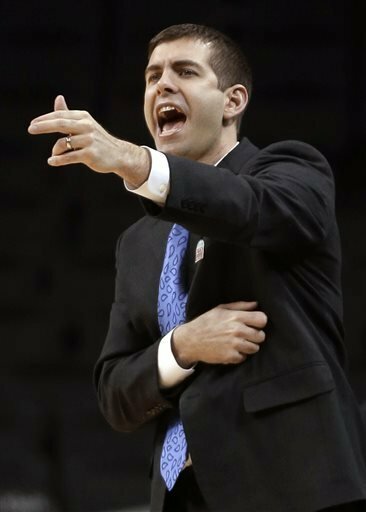 Famously utilizing Butler MBA student Drew Cannon as quite possibly the only statistically-based hire on a college basketball coaching staff, Stevens has long been a proponent of utilizing statistics and according to the Sports Illustrated profile of Cannon, has said that he would create his own division dedicated to statistics had he had infinite resources. And considering that he has won over 77% of games in Indianapolis with five tournament appearances including two consecutive championship game appearances in 2009-2010, I would say that he has been extremely successful and thus his methods are very successful. Combine that with significantly greater resources as well as a general manager in Ainge that also is a proponent of advanced statistics, and thus Stevens is coming into an organization that will embrace his methods, rather than look at him like he's speaking Chinese when he dives into analytics. Plus, Stevens will not have a large amount of pressure right off the bat as the club is about to dive into a rebuilding process, which should allow Stevens even greater freedom to tinker. Also, due to his calm and focused manner that does not allow himself to overcoach, he may be uniquely able to avoid the pitfalls that often find most college coaches and that is their desire to control everything and act like they are bigger than their players, which never works in the NBA. Plus, could he be the one that can work wonders with the curious character that is Rajon Rondo? Could this hire fail for the Celtics? Of course, nothing in the world is ever a guarantee. But for a club that is never afraid to take a risk, this is one that truly work wonders for a team facing an uncertain future.